Premium Panel shutters have square edge stiles and rails. They are built using mortise and tenon construction, raised panels (raised 1 side) and “flush face” design (all stiles and rails are the same thickness). Primed Millennium Panels are standard with all Premium Series panel shutters (optional cedar panels available for cedar shutters). These shutters are fully customizable – almost any part can be modified and located to suit your needs. All Premium Series shutters are backed by a limited lifetime warranty. 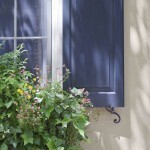 Panel shutters can be used in a variety of interior and exterior applications. Keep in mind, all panels are made with primed Millennium Panels unless otherwise specified. Panel shutters are offered in either pine or cedar. 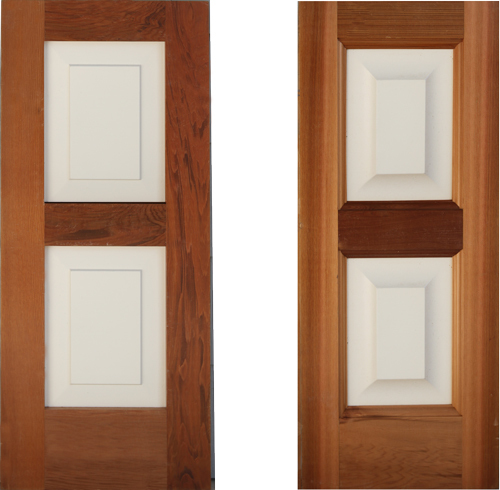 Select the style above and series of shutter below for a complete list of specifications. Profile for both Cedar and Pine using our Millennium Panels. Cedar panels are also available on our cedar shutters. Profile for both Cedar and Pine using our Millennium Panels. Cedar panels are also available in our cedar shutters. If you are looking for sizes outside the above information please let us know. All shutters are made with Millennium Panels. The above information can be used as a general guideline or as a starting point.